Sundie Seefried, CEO and President of Partner Colorado Credit Union (PCCU) and architect of the institution’s Safe Harbor Private Banking program located in Denver, Colorado. She is a 30 year banking executive. Vera Twomey of County Cork, Ireland, the mother of a seven-year-old daughter who has a rare form of epilepsy. Both of these women deserve special attention. In Seefried’s case, yours truly screwed up and wanted to right the wrong of not including her on this year’s list. Seefried and her team have worked diligently to bring a viable banking solution to Colorado licensees and are working tirelessly to do the same in additional states. In retrospect, CBE Press believes that she should also have been listed as one of the top ancillary business women leaders on this year’s list. In Twomey’s case, Philip Cenedella, who contributes to CBE from Germany, brought her to our attention. She deserves a call-out as well. 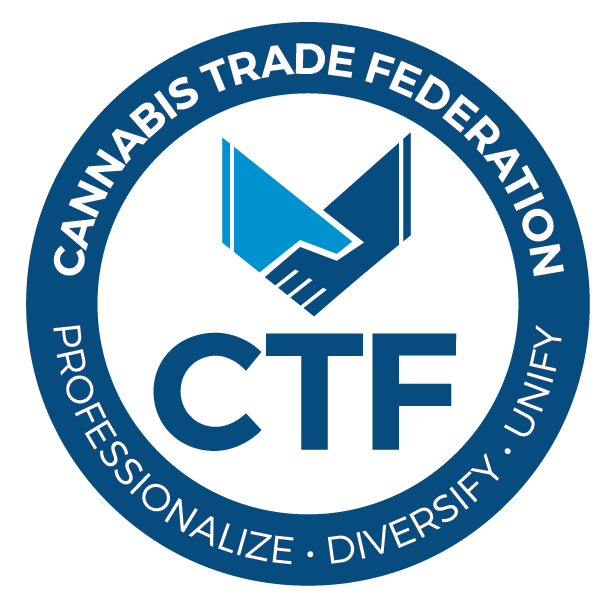 Seefried, who authored “Navigating Safe Harbor: Cannabis Banking in a Time of Uncertainty” in 2016, began researching the possibility of PCCU providing banking services to cannabis in 2014, which was about the time that she was preparing to retire after a long career in the banking industry. Today, her credit union has over 100 marijuana accounts and employs 10 full-time compliance officers to oversee those accounts. Her credit union processes $80 million per month in marijuana business deposits in the state, which she said is near the institution’s maximum capacity considering it has just $300 million in assets. This past July, in a press release issued by PCCU, the company announced Safe Harbor Services (SHS). “After long in-depth contemplation, the Partner Colorado Board decided to launch its own company as a majority owner,” said Seefried. “We want to expand the cannabis banking program nationally and help other financial institutions solve the safety issue of the unbanked cannabis industry. Appointing a separate president to run operations and expansion, will relieve the credit union staff from such a time-intensive and monumental task.” Seefried will remain at the helm of the 32,000-member credit union and Safe Harbor’s internal Colorado division. CBE Press loved Seefried’s answer during a podcast interview to the question “Why did PCCU decide to enter the cannabis space?” Her answer, and I quote, “it was the right thing to do” is indicative of a visionary who is pursuing a badly needed cannabis industry mission, and promises to provide the bank with a great upside in lieu of the lack of banking services available by such financial institutions as Wells Fargo, Bank of America, Citibank and the other national banks – all of whom have yet to enter the fray. According to a recent article in Marijuana Business Daily, SHS has signed up financial institutions in Arkansas, Colorado, Maryland, Massachusetts, Ohio and Pennsylvania which are beta testing the company’s proprietary cannabis banking compliance software. The testing is expected to be completed by December 1, and the institutions hope to implement the technology soon after. “We (Safe Harbor Private Banking) have pretty much licensed our rights to everything we have learned to this new company,” said Seefried. In addition to the banks and credit unions participating in beta testing, institutions in five other states – including California and Nevada – have contracted with Safe Harbor Services. Now more about Vera Twomey. Vera would do anything for her sick child, even walking 200 miles to the Irish Parliament in the middle of February, if that’s what it took to get her daughter relief from the daily ravages of childhood Dravet’s Syndrome. This Irish mother, and her wonderful husband and family, spent the entire year of 2017 working to get Irish government approval for the THC/CBD-based therapy which reduced their daughter’s seizures from 30-plus a day.. to zero. Gaining support from thousands of people throughout the world, but still not getting the approval needed from their government, Twomey and her family fled Ireland as medical refugees and moved to Holland. The epileptic seizures stopped, but their fight back home continued. Finally, in late November of this year, the Irish Minister of Health granted the necessary approval. The family will be back together, at home in Cork, in time for Christmas. Hers is a happy story about a mother willing to do anything for her sick child – which blazes the trail for many other patient families in the future. There have been a few other suggestions for inclusion to this year’s list, and as we said in the original article, please let us know of others for future inclusion. These two women have really gone the extra mile in helping with the development of a legal, regulated industry. CBE Press is thrilled with the opportunity to bring the stories of these exceptional women to our reader’s attention.